Welcome to Amberleigh Shores Apartments! 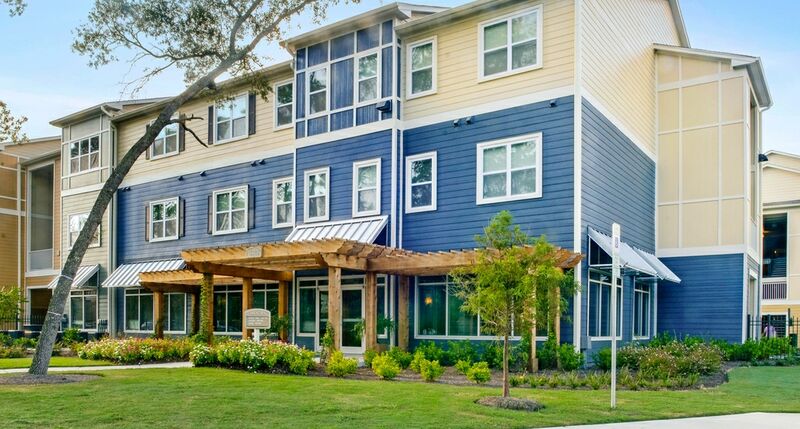 Amberleigh Shores is a luxury apartment community featuring 1, 2 and 3 bedroom apartment homes in beautiful Wilmington, NC. Each our homes boasts upscale features including; upgraded cabinetry, laminate wood flooring throughout with plush carpeting in the bedrooms, granite countertops, and sleek black or stainless steel appliances. Our gated community is packed full of luxury amenities including a sparkling resort style-pool with cabanas, new fitness center focusing on strength and cardio, clubhouse with media and game room, and a community BBQ area with grill. To add to the convenience we offer short-term leases and invite your furry friends to come stay with us too! We are ideally located with access to the UNCW campus, Wrightsville Beach, Wilmington International Airport, and charming downtown Wilmington. Spend a day down on the shore on Shell Island or any of the various beaches you will have access to. If you prefer to head to Downtown for a visit to Front Street Brewery off Cape Fear River or visit one of the many historical venues on a walking tour. No matter your lifestyle, we have something for you at Amberleigh Shores that will make you feel right at home. Contact us today to schedule your personalized tour!